Luxury Living Group embarks on a new adventure in pursuance of a certain mythology. 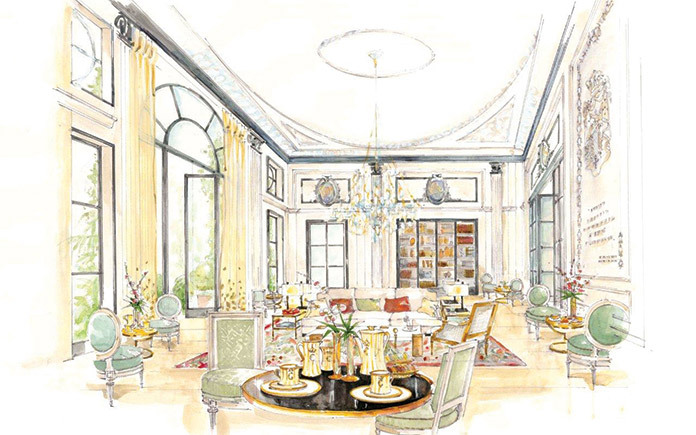 During the Salone del Mobile 2016, Luxury Living Group and the Ritz Paris launched the new Ritz Paris Home Collection project. Since its opening on June 1898, the Ritz Paris has been the epitome of elegance and the understated luxury of French art de vivre. The privacy and glamour of this unique environment immediately made it a gathering place for the greats of this world, royalty, artists and writers, first among them Marcel Proust and Ernest Hemingway. Coco Chanel, Audrey Hepburn and Maria Callas always loyal to the Ritz Paris, contributed to the mystique of Place Vendôme. To preserve its heritage, the Ritz Paris has benefited from an unparalleled restoration, not to begin a second life but to continue its legend. 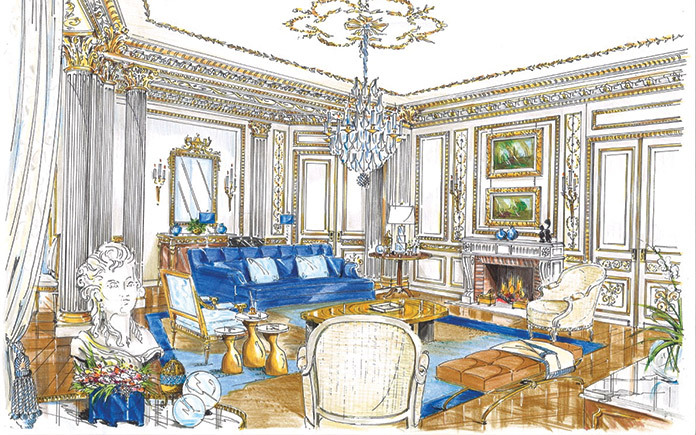 The main concept of the project is the result of the visionary intuition of Alberto Vignatelli, CEO and Chairmain of Luxury Living Group and the Ritz Paris under the artistic guidance of Frenchman Cyril Vergnol, one of the most valued interior designers on the world stage. The precept of this new chapter in the history of Luxury Living Group is inspired by the stylistic and grandiose atmosphere of the hotel which will soon reopen to guests after a long and scrupulous period of restoration and redefinition. 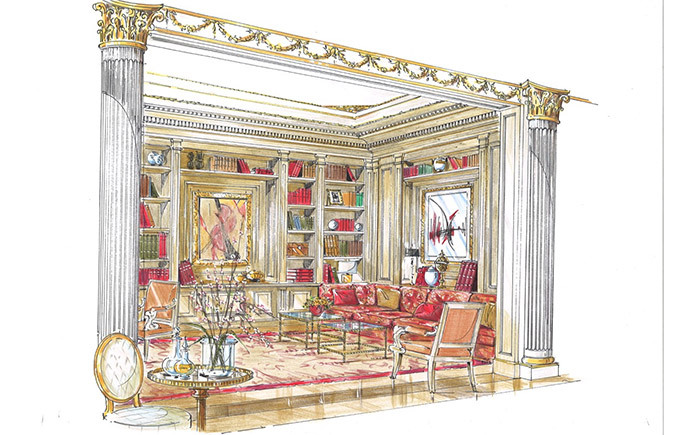 The project is an interpretation of the Ritz Paris lifestyle; a juxtaposition of timeless heritage, creativity and modern eclecticism. Luxury Living Group presents an ambiance of a high level residential project, reincarnating the legacy of the hotel today, but providing the opportunity of a totally custom made project for the future. A suite presented now for the first time, tells the story of the diverse yet complementary souls of the hotel through masterful aesthetic definition, the most sophisticated artisanal craftsmanship, and the best Italian savoir-faire. 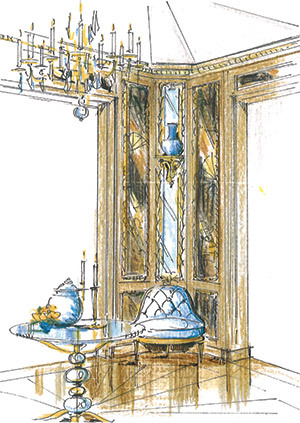 The boiserie panels with their timeless, luxurious connotations are highlighted by refined gildings, including reference to the ancient Coromandel screens, and the avant-garde hermeneutics and abstractions of the 50s by Serge Poliakoff. The wood partitions, produced by artisans employing ancient techniques feature some prominent details. They also frame a wonderfully striking resin configuration by Ceryl Vergnol which he has arranged in a sculptural manner. The fabulous Versailles wood flooring features grander proportions than one would expect with traditional examples. This is a genesis of the most diverse, stylistic moods, born with an authentic ethos and methodology. This authenticity is sought through the quality of the production and the unique language of symbiosis between epochs and places of French haute société and a powerful enthusiasm and momentum for the future. This remarkable fusion with its countless nuances drives the creation of a furniture and accessories collection which can be interpreted in a metamorphic and dynamic way. A work in progress.